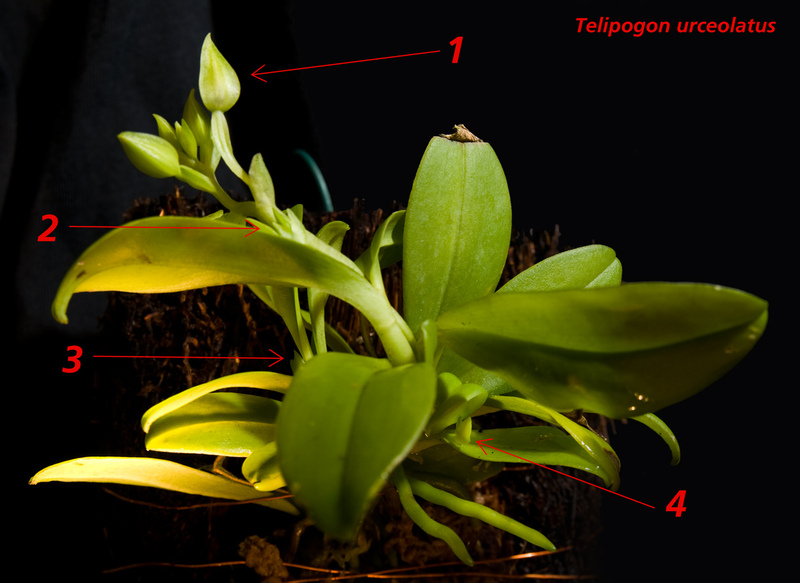 My Telipogon urceolatus #1 is growing well! And now I have seen that there are 4 Inflorescence/spikes! Just now I can see 13 buds. But there will be more! 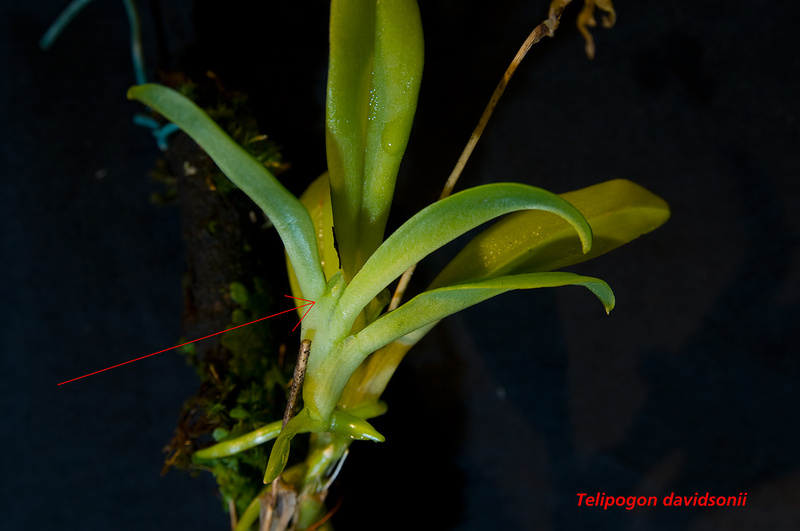 And now I also found a spike on my Telipogon davidsonii #1. I really hope this will flower as there are no photos of this species.